To this end, tesearchers from the University of South Florida College of Nursing recently received a $2.7 million grant from the National Institutes of Health (NIH) to study a bacteria and microorganisms present in the gut of premature infants and determine how it effects their growth and development. The team is led by Maureen Groer, PhD, a professor at the USF College of Nursing, and will study how bacteria effects infant growth and development. The team will use the effect of microbiomes, or DNA extracted from gut bacteria, on development to draw their conclusions. "It's the only way to do this kind of science - it's team science," Groer said. "We all have particular knowledge and skills and we can collaborate and cooperate and come out with wonderful ideas together that we wouldn't have ever had on our own." As an important part of their study, Groer explains that a special relationship exists between microorganisms and "behavior, anxiety, depression, schizophrenia, autism; relationships between that gut microbiome and a variety of 'gut diseases' like Crohn's disease; relationships between that gut microbiome and the immune system, like allergy and auto-immune disease." This research builds on a previous study in which stool samples were collected from 100 premature infants to learn about the relationship between feeding habits and health outcomes. The team then realized that they were well equipped to perform another kind of important research using the same material and data. "So we had this epiphany moment when we realized we had a freezer full of poopsicles and there was all of this research on the gut microbiome, and I thought, 'Oh my goodness, we have the opportunity to study whether these preterm infants develop what's called dysbiosis - an abnormal gut microbiome,'" Groer said. "The most exciting thing is the possibility of new discoveries that we'll make that will make a difference in the health of mothers and babies," Groer said. "Especially these little, fragile, preterm babies, to give them a leg up and to give them the best possible chance at having a healthy life." The University of South Florida received $411 Million in total grants during FY 2012. 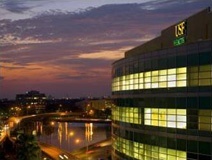 USF was granted $166,586,729 in direct federal grants in FY 2012. The University of South Florida is a leading life science research facility, with hundreds of active researchers who are currently looking for new lab equipment and supplies. If you are a lab supply or equipment vendor interested in participating in a brand-new market, consider attending the 1st Annual BioResearch Product Faire™ at USF on January 14, 2016. 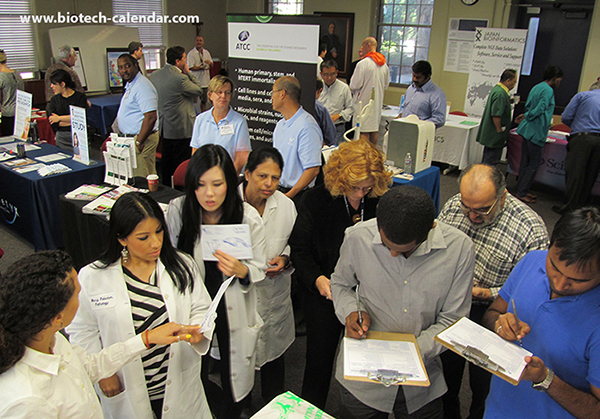 This premier life science trade show is the most recent addition to Biotechnology Calendar, Inc.’s successful line of annual life science shows, currently held at over 50 universities nationwide.